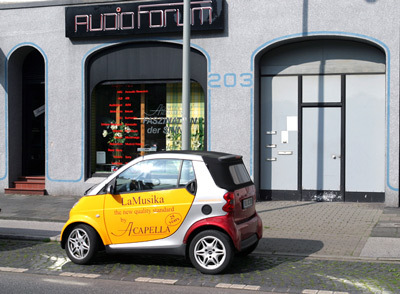 Parked in front of the Acapella show room: the Acapella show car, a more affordable Acapella product. Note: Factory pictures featured in this review. The Acapella Triolon Excalibur loudspeaker system arrived in three wooden crates, one of which weighed about 1,500lb, the two other over 400lb each. The initial delivery from the freight company went smoothly enough but did require a truck with a hydraulic lift and the use of a pallet jack. Moving the speakers from my garage into the listening room required the services of four piano movers. Fully assembled, the Triolons are an imposing sight even in my 19 by 27 by 10 feet room: two woofer towers, each 14-inch by 28-inch by 7 feet tall, each weighing 650lb plus a cross piece holding a plasma tweeter attached to the woofers, and a sword bearing two horn loaded speakers, one horn 30.5 inches in diameter, the other 18.5 inches in diameter, each side weighing 880lb total. The day before, I had carefully measured and marked off the positions of the speakers since, I figured, that once they were bolted together, there was little chance that I would want to move these monsters. The speakers were positioned much as I had positioned my prior speakers, the Acapella Campanile Highs: front inside corners 73 inches apart, back corners about 79 inches and about 60 inches from the back wall, with the back of the listening chair about 12′ feet from the front of the speakers. Surprisingly this turned out to be a really good location and allowed about 36 inches from the outside edge of each speaker to the side wall. The frequencies below 170Hz are handled by four 10-inch SEAS drivers in each woofer tower. Each pair of woofers is in a separate sealed enclosure. 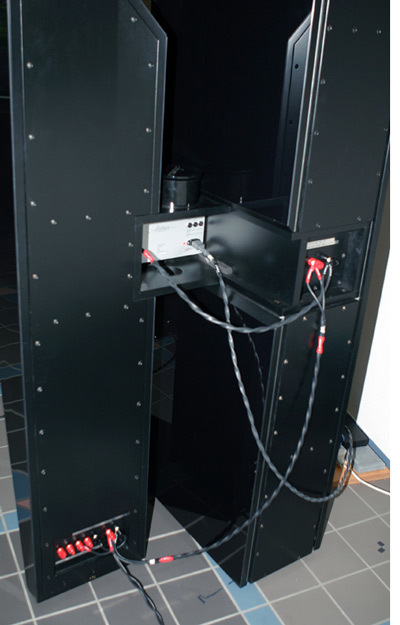 Each woofer tower is composed of two of these enclosures. The enclosures are extremely rigid, heavy and well damped with felt, bitumen and lead. The bass towers are finished in a piano black high gloss. The sound from 170Hz up to 40,000Hz emanates as a spherical wave front. Frequencies from 170Hz to 700Hz are handled by the 30.5-inch horn which loads a 12-inch driver; those from 700Hz to 5000Hz, the 18.5-inch horn, and frequencies above 5000Hz is handled by a plasma tweeter, which emits a violet light clearly visible in a lighted room. The horns are cast from a mineral loaded resin, polished and then painted with automotive paint to yield an extremely high gloss finish. On this particular pair, the horns are deep red. The horns are mounted on a separate mirrored sword so that their sound is not negatively impacted by any energy generated by the woofers. The Acapella Campanile Highs are similar but crossover to their woofers at 500Hz, use the plasma tweeter plus a single horn and are lower in efficiency (92dB). The Triolons are typically a 4-ohm speaker but have a very narrow impedance spike centered at 30Hz of 2.8 ohms, not a particularly easy load for an amp to drive. 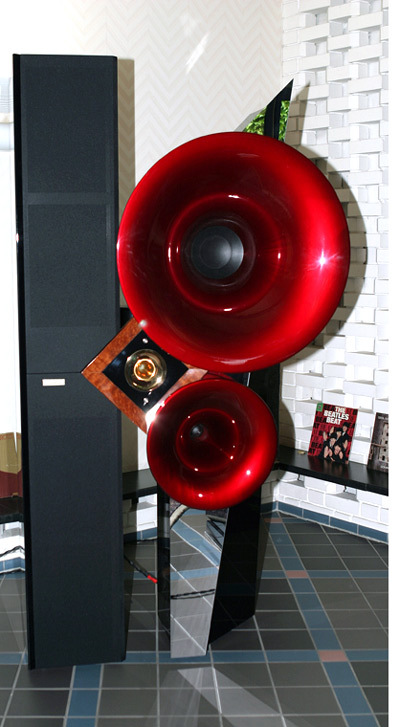 The Triolons are one of the few speakers which in the right system do some things so well that it can result in a suspension of reality, particularly in a darkened room at night when outside noises are at a minimum and the voltage from the line is clean – you are no longer listening to reproduced sound in your room, but are somehow transported to the event. This is particularly true with respect to small string ensembles, jazz groups and folk singers accompanied by a small number of instruments – I have a tendency to think/listen in terms of how well a system does certain things and how well it avoids doing things which irritate me, which is to say that I focus on the pieces rather than the whole. With these speakers I often stopped analyzing the sound and just listened to the music. My initial reaction to listening to music on the Triolons was to be struck speechless. I would not utter a word until the piece of music ended. If you know me, that says a lot. These speakers discourage conversation or, for that matter, attempts to read or do other tasks while they are being listened to. More often than not, I now listen to an entire performance, not just favorite tracks. Prior to the Triolons, I lived with the High Campaniles for a number of years and they were by a significant margin the best speakers that I had ever owned. They were a difficult speaker to make work properly, required a large room and were hard to drive. Amps that drove the woofers well did not ever seem to work as well on the midrange horn and ion tweeters. The happy medium was either the best solid-state amp I could find or a tube amp capable of driving the load while maintaining transparency. The two types of amps sounded different on the Campaniles and exhibited different strengths and weaknesses. Given my familiarity with the Campaniles, I have, throughout the remainder of this review, used them as a reference point, focusing on how they sounded in my room and how the sound of the Triolons would differ. All of this is a prelude to talking about the sound of the Triolons. Although the Triolons do come alive with a high-power, high-current, low-output-impedance amp, this review focuses on their interaction with vacuum tube designs. 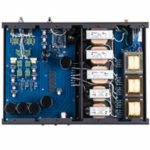 The Triolon Excalibur’s relatively high efficiency opens up the possibility of using lower-powered tube amps such as the Lamm ML2.1, Audio Note Kegons and the Einstein OTLs, which are used by Acapella itself at the factory. The Triolons are much easier to drive than the Campaniles, but also more revealing of the associated equipment used to drive them. During my initial listening sessions, different combinations of equipment resulted in different tradeoffs. Generally, superior designs are more expensive and they involved fewer tradeoffs. 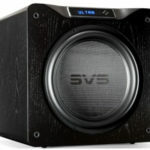 In many systems, the soundstage is either localized between the inside edges of the speakers or perhaps extends to the outside edges of the speakers. With the Campaniles and the right equipment you can get a soundstage that extends from wall to wall and has excellent depth. Focus and image specificity are good but never pinpoint. Image size is believable, i.e. no sopranos with mouths the size of a baby grand. If the Campaniles manifest a problem in this area, it is that without proper setup and the appropriate equipment, some frequencies can localize on the horns. This is most problematic during the time when the speakers are breaking-in, but can happen with the wrong wire or associated equipment and is, thus, set-up dependent. In contrast, the Triolons create a massive soundstage with huge amounts of air and space. The sidewalls of the room from the plane of the speakers to the back wall disappear. Instead of recreating the recorded venue in your room, the room no longer seems part of the equation. Its almost as if the space where the event occurred is appended to the end of your room and the recorded event is occurring there (note that this is only true with certain recordings made in large halls and properly recorded and not with every piece of music played or with all associated equipment or wire). Imaging and focus are quite good but edges are a bit diffused as in real life. Images are very three-dimensional and fully fleshed out. Within the soundfield, instruments and singers are three-dimensional and their location, both right and left as well as forward or backwards, is well defined. It is also usually easy to discern the height at which different sounds are emanating. The Triolons do not impose a single template on everything played. Stage size can vary from intimate to cavernous depending on the recording and other factors. The Campaniles will play loud and are very dynamic from pp to fff; the same is true of the Triolons but much more so. The Triolons significantly extend the dynamic envelope with excellent micro dynamics and crescendos capable of rattling walls, all with a vanishingly low level of distortion. More importantly, given the complexity of the speaker and the varying radiation patterns of the drivers, the Triolons do an excellent job of preserving the dynamic envelope — different portions of the frequency spectrum do not get loud at different rates. Detail retrieval, particularly low-level ambient detail, is phenomenal. I am simply hearing low-level detail that I never knew existed on familiar pieces. Richard Lee once said that every speaker has a volume level at which it will seem to come to life, depending on the mass of the drivers and the inherent noise level of the speaker. For the most part, electrostatics will always provide a pleasurable listening experience at lower sound pressure levels than speakers using dynamic drivers. The lower noise level of the electrostats will also allow the listener to hear more low-level detail. The Triolons challenge even the Crosby modified Quad 63’s in these areas. Detail, even at low volume levels, is excellent and is further enhanced by the speaker’s own, vanishing level of self-generated noise. The Triolons are very coherent. They have an effortlessness that is reminiscent of the Goldmund Reference TT which I owned for several years. In comparison to the bass of the Campaniles, the bass of the Triolons is tighter, better controlled, goes lower with more authority and is faster with greater retention of harmonics. More importantly, by pushing the horn technology down to 170Hz and dividing the range between 170Hz and 5000Hz so that it is handled by two horns, there is a significant lowering of intermodulation distortion that affects the entire frequency range. A friend is driving Watt/Puppy 6’s with MacIntosh 501’s. This combination has great punch in the midbass. The Campaniles never had this degree of punch in the midbass. With the Triolons this is no longer the case. Their midbass is extremely detailed, fast and well-controlled with excellent slam. Acapella has been able to do this in such a manner that the two horns act almost as a single unit. You cannot pick out the crossover point and there are no discontinuities as the sound moves between the horns. Bells and other percussive instruments have a steep leading edge with a natural reverberant tail. In this area, the Triolons remind me of the Van den hul Colibri cartridge. The plasma tweeter remains the best high frequency driver that I have heard and that includes the superb diamond tweeters used in the Martens and Kharma’s. The Triolons are a significant improvement over the Campanile Highs. 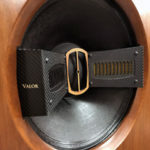 They are much more detailed without being bright or strident, the micro and macro dynamics are vastly superior and the bass, particularly from 170 to 700Hz, a region in which the larger horn operates instead of a dynamic woofer on other speakers is superb; faster tighter, better controlled and much better integrated with the smaller horn and tweeters. Unfortunately, the Triolons’ resolution is a two-edged sword and tends to magnify problems with other components. No multi driver system of this complexity, regardless of design, will image like a small two-way monitor. Inversely, small monitors will never move the amounts of air or properly produce the soundstage of an orchestra playing Mahler at full tilt. The imaging of the Triolons is more akin to what I hear at a live musical event. In speaking with the designer of the Triolons, his goal was never to plumb the depths of the bottom-end. It was to make this speaker with its multiple dissimilar drivers coherent. I believe that he has been successful. 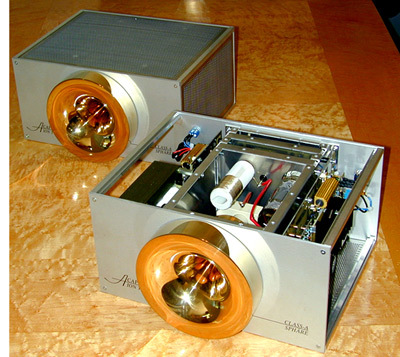 If you examine the two most expensive Acapella speakers, you will note that the Sphaeron Excalibur has a larger bass horn that allows a lower crossover point, and uses 15-inch woofers. However, I doubt that it has much extension below 30Hz; yet in terms of sound, it probably far exceeds the Triolon Excaliburs. The hierarchy for the Triolons (i.e. best sound) in magnitudes of optimization is: i) bi-amp and tri-wire, ii) single amp, tri-wire, iii) single amp, bi-wire, iv) single amp, single run of speaker wire. 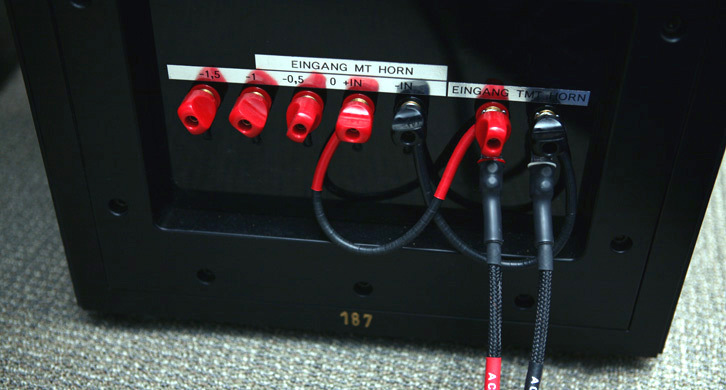 In particular, the use of bi-wiring on the single amp makes a significant difference in bass control and extension. The Triolons are very clean and excel at creating the well-defined leading edge of struck instruments that characterizes a live performance. This is particularly evident with percussion instruments and with the piano, which in my experience, after the human voice is the hardest instrument to recreate in a believable manner. Massed strings are also equally good. Decay of instruments is captured in a way that is lifelike and natural. I find it rare that a piece of electronics is equally good at capturing the leading edge and also the decay of sounds. Most seem to favor one over the other. Human voice is well served, both male and female. Herman Winters, the founder, loves opera. He always brings a treasure trove of opera recordings to shows. At the recent Rocky Mountain Audio Fest, he brought a particularly good recording of Luciano Pavarotti which was stunning on the Triolons. Listening to music is meant to be an emotional experience. This is difficult to achieve in a home environment. The Triolons have been one of the few speakers that I have heard in my home system that accomplished this (another was the Quads). In this case, their ability is probably a result of their extremely wide dynamics, tonal accuracy, sublime clarity and musical flow. The sound that they create can be musically and emotionally exhausting, just like live music. In the final analysis, these are probably not the right speaker for everyone given their size and cost, particularly when you consider the level of associated equipment which is necessary to make them sing. However, for me, these will probably be the last speakers that I will ever own. Finally, a word about amps used during auditioning. Initial listening was done with a variety of amplifiers. For my particular tastes, the Lamm ML2 at 18 watts and the Audio Note Kegon at 20 watts stood out. The Edge Reference was also excellent at significantly more power. Longer term listening involved extensive use of modified pair of Parasound JC-1s. In many ways, the JC-1s were a good match, particularly with respect to properly controlling the woofers. Both dynamics and bass slam were quite good. Highs, while lacking the last bit of extension and sweetness that the plasma tweeter can deliver, were neither bright nor grainy. What the Parasounds did lack was the tonal balance and dimensionality that the single-ended amps could deliver. With the Triolons, it is more the quality of the amplification than the power, although 18 to 20 watts is a minimum. Within the last three weeks, I have been able to substitute the new balanced version of the Audio Note Kegons. Although nowhere near being fully broken in, they are by a significant margin the best amplifier which I have heard driving the Triolons. In combination with the Triolons, they bring a richness of texture and tonal rightness to the sound, coupled with an increased level of energy in the mids and lower treble. Very nice review, thanks! 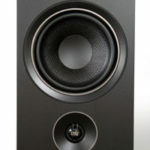 I’m wondering if a biamp setup like Jadis SE845 (or SE300B) (Hi-Mid) + JA30 (Low) can drive these speakers at it best? Cheers! I have considered whether that would be a better answer than a single amp solution and concur that it has merit. The primary negative for me is that I have become convinced that the relatively simple architecture of my Balnced Kegon 300B amps and the gains to transparency associated with the simple circuit path might be lost if I inserted an external crossover and additional cabling. I think that I may have finally found the ideal amp to drive the speakers, the new amplifier being manufactured (here I really mean built individually by a single craftman) for Acapella in Germany. I hope to have one this summer for review. I have heard it at a friend’s home over a three day period on his Triolons and it was stunning.